The final round of this years 2008 D1 GP Japanese drift competition was held in Ebisu circuit Nihonmatsu city Japan. The same place they help round 1 this year. But the results were different this time around…. With Ebisu being right in my back yard, (5 mins drive) there was no way I was going to miss it. I actually took my video camera because I wanted to take some video footage of the drifting and put it up here and Youtube to show you but, I had some bad luck and the battery went flat before I could even use it. I only had my mobile phone camera with 2 bars of battery so my photo taking was limited by that too. Anyway, I was able to take a couple of “ok” photos. To cut straight to the point, the winner of 2008 Round 6 D1 GP in Ebisu was none other than the owner of the track, Kumakubo Nobushige in his TEAM Orange Lancer Evolution 9. This 2008 D1 GP drift season was tough for Kumakubo and his team. He hadn’t had much luck with rankings, but the weather held off at Ebisu and he was able to score a win and boost his rank in the D1 points table in the final round in Japan! He was very pleased and it showed with tears of joy at the podium! The final and closing round of D1 GP 2008 drift competition season will be in Irwindale USA in November. 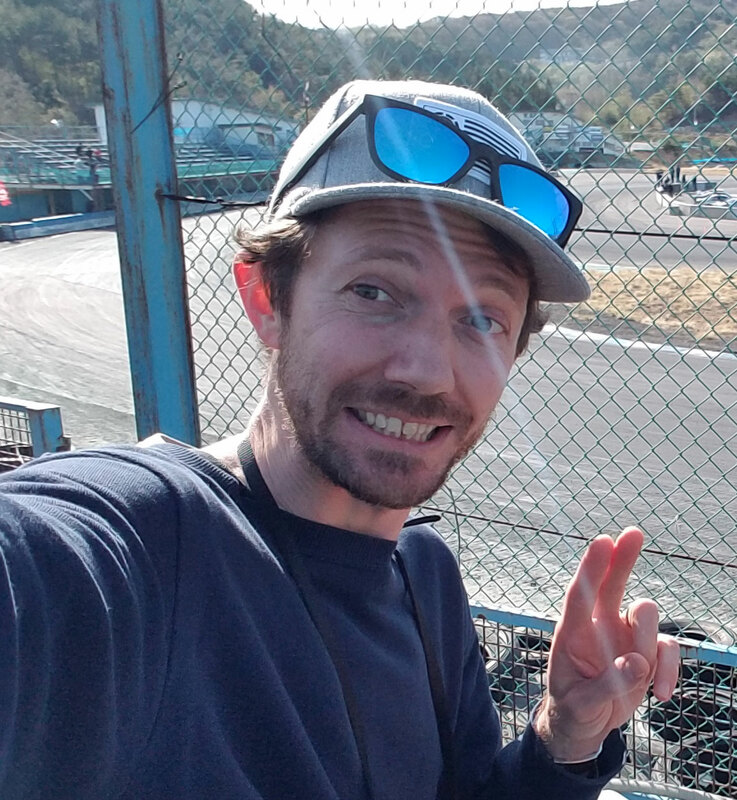 But as for me (and the monkeys) and drifting in Japan, I’ll still be going to Ebisu from time to time and I’ll be able to bring you more D1GP coverage next season! Nice post man, I am jealous you were at Ebisu. I would of loved to make it to an event at Ebisu. Hopefully next season. I wanted to reach out to you to ask for your feedback on these widgets (feel free to install them on your blog, if you feel they are a good fit). I’m sorry for leaving this message via a comment, it’s not at all our intent to spam you ( which is why i’m leaving this comment on an older post and you can always remove this comment ). Again, we would love to hear your feedback.